Utility and miscellaneous program. $189. 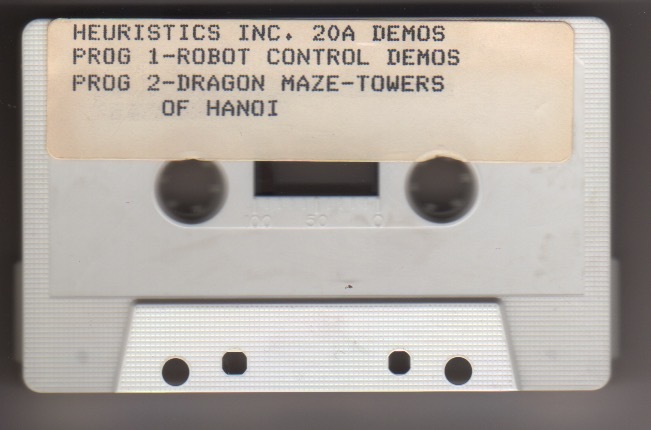 On side A, program 1 is Robot control demos, and programe 2 is Dragon maze + Towers of Hanoi. 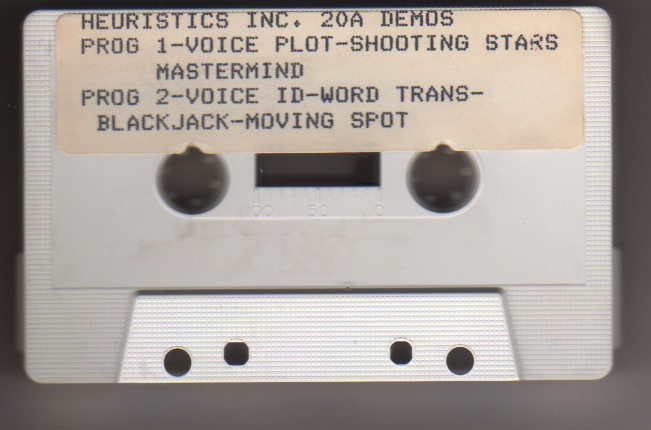 On side 2, program 1 is Voice plot + Shooting stars + Mastermind, program 2 is Voice ID + Word trans + Blackjack + Moving spot. A demo of what you can do with an Apple II, a Speechlab card and Mountain's Introl system! 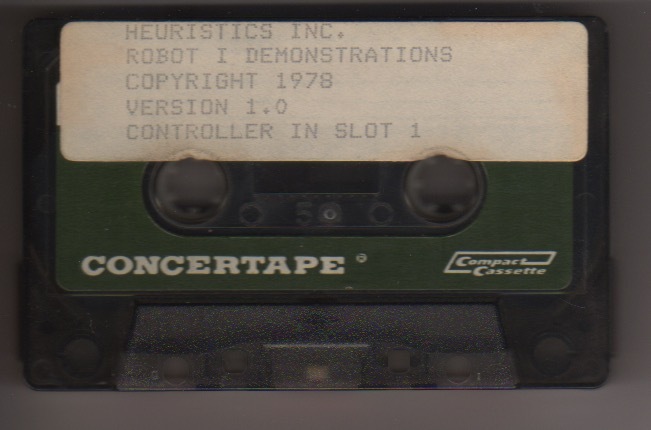 A demo of what you can do with an Apple II, a Speechlab card and a robot, either from a wireless connection or from the interface card. Some interesting speech programs, mainly modified by Bruce Tognazzini. Require either a microphone or a Speechlab card from Heuristics.